← Mr. Biden’s Green Light? 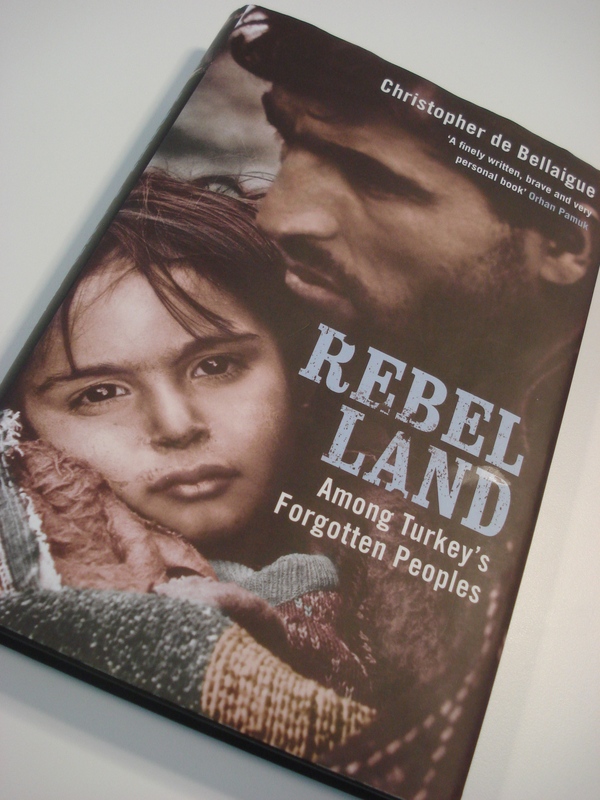 Rebel Land  is the story about the ethnic and religious conflicts in East Anatolia in the 20th century. It is remarkable as it blends known and largely unknown historical facts with personal experiences of an investigative journalist and very emotional descriptions of a largely forgotten, harsh and dramatic region and its mainly inhospitable people(s). It is from the borders between civilization and notorious unrest, West and East, Europe and, well, something in-between. Let’s describe it as a country gradually developing into (or from) Central Asia, from where the various Turkish tribes have once colonized the Anatolian highlands. Willingly or not, Rebel Land provides excellent evidence for denying modern Turkey’s desire of eventually joining the European Union in the near future. The author, Christopher de Bellaigue, is a likeable writer. He has lived in Turkey in the 1990s for five years and speaks the language fluently. At first encounter he is usually considered a Turk, as he writes not without some pride. I have become curious after having read his two books about Iran , a country which also fascinates me for a long time. He went farther. He has got married to an Iranian woman and even converted to the Shi’a branch of Islam. Rebel Land is written in a century-long tradition of a traveling reporter who wants to tell a true story about history. De Bellaigue’s first and main intention to travel to Varto in the East Anatolian province of Mus was definitely to figure out the truth about the Turkish genocide of the Armenian people in 1915. It is the most disturbing part of the book and portrays well the problems of modern Turkey, which officially denies the very facts and threatens with prosecution everybody who is telling what actually had happened. It is also about Turkish ‘historians’ counterfeiting the dark chapters of Turkish history in the last century . There is an unfortunate melting pot there made of Armenians, Ottoman Turks and Kurds, Sunnis and Alevis. The struggle for forced modernity in remote regions hopelessly stuck in medieval traditions, numerous military coups, etc. The book is at best when its author entertains with sad and poetic stories about the people there, somewhat disclosing their soul. “Tell me about the Armenians”, de Bellaigue asks an Alevi from Varto, who narrates the following story about the pepukh, the yellow-winged cuckoo. Christopher de Bellaigue C. Rebel Land. Among Turkey’s Forgotten Peoples. Bloomsbury Publishing Plc. London 2009. De Bellaigue describes with bitterness his discussions in the 1990s with Professor Yusuf Halacoglu, author of Ermeni Tehciri, or Armenian Deportation, who estimates a ridiculous 30’000 casualties among the Armenian people during the 1915 deportations, rather than the one or one and a half million commonly assumed. This entry was posted in Book Review and tagged Anatolia, Armenia, Christopher de Bellaigue, genocide, Kurdistan, PKK, Varto. Bookmark the permalink.